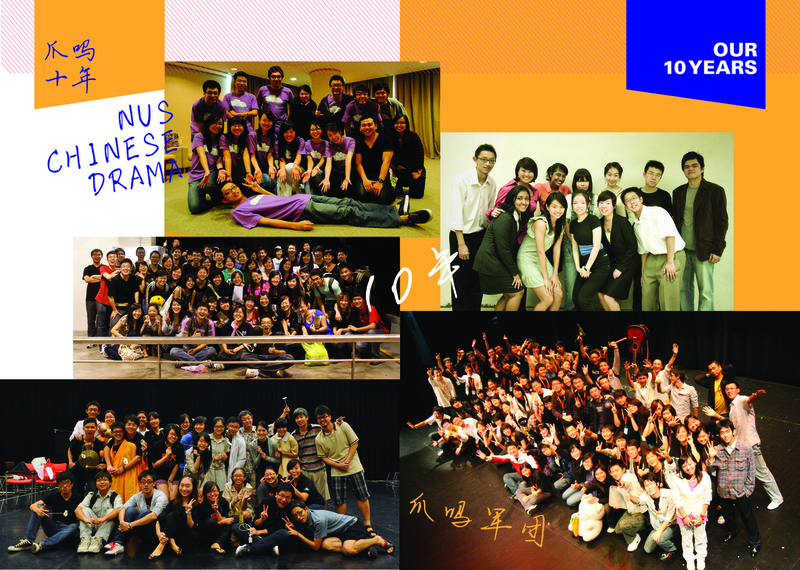 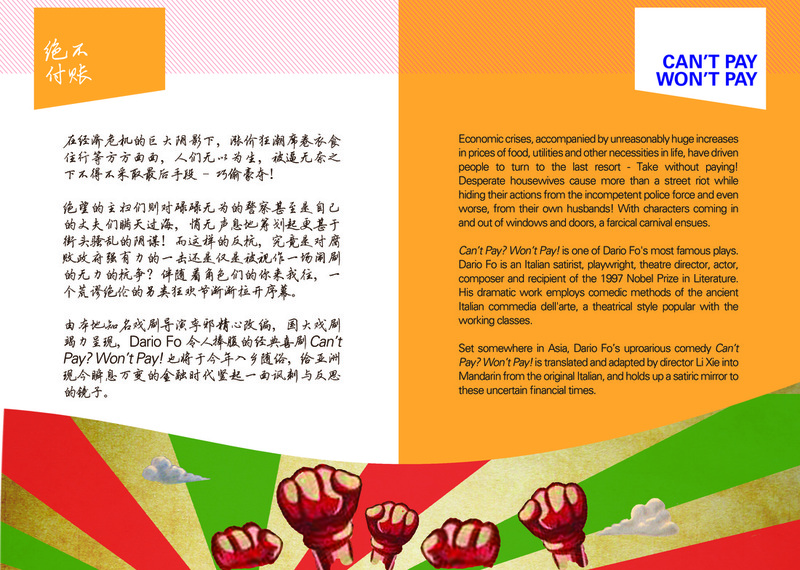 I joined NUS Chinese Drama (NUS student group) in the year of 2010, then I spent 3 years there together with other lovely members to promote Chinese Drama in Singapore as a means of discussing social problems rather than a format of art alone. 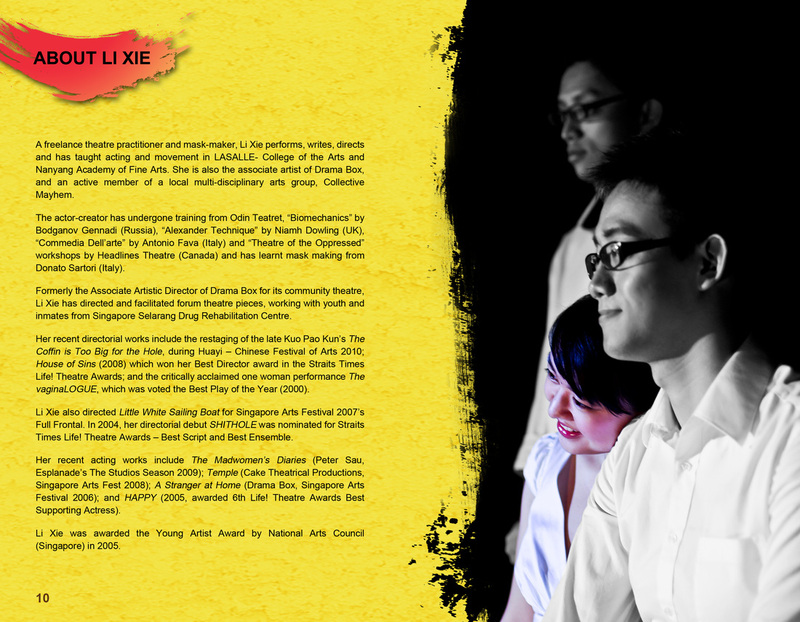 Other than ordinary practice in acting and play writing, I also worked as Publicity Head to come up with design concepts for posters, brochures, trailers, tickets, T-shirts and so on. 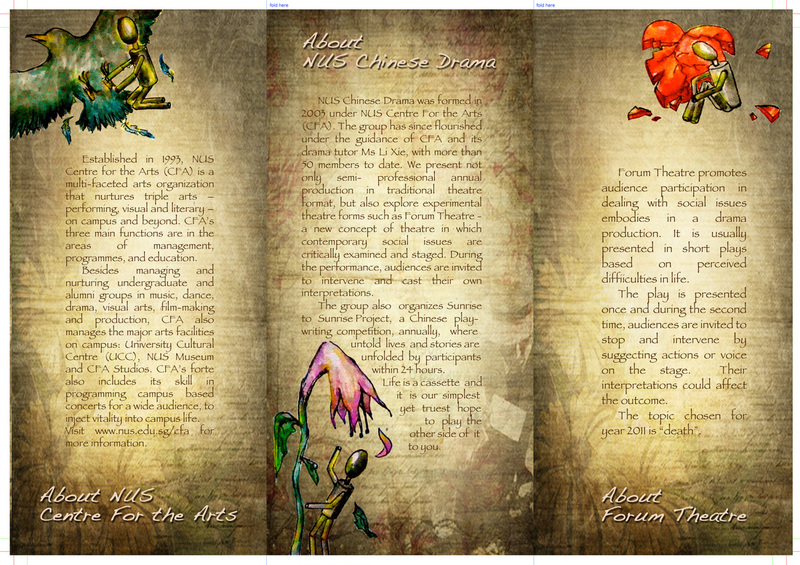 Forum theater promotes audience participation in dealing with social issues embodies in a drama production. 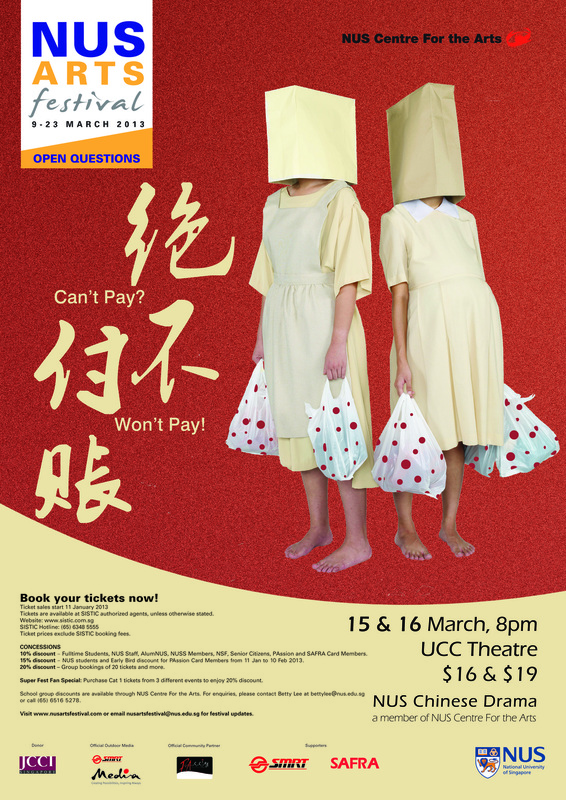 It is usually presented in short plays based on perceived difficulties in life. 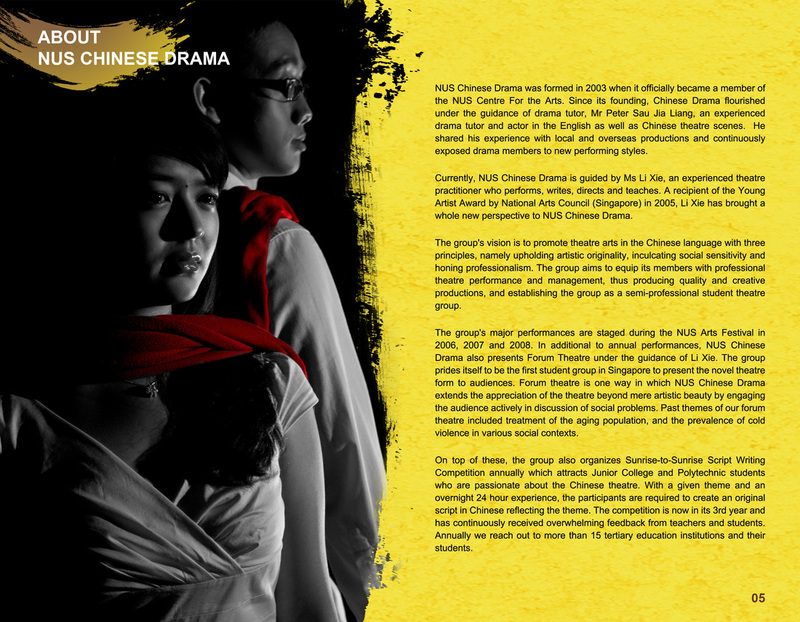 The play is presented once and during the second time, audiences are invited to stop and intervene by suggesting actions or voices on the stage. 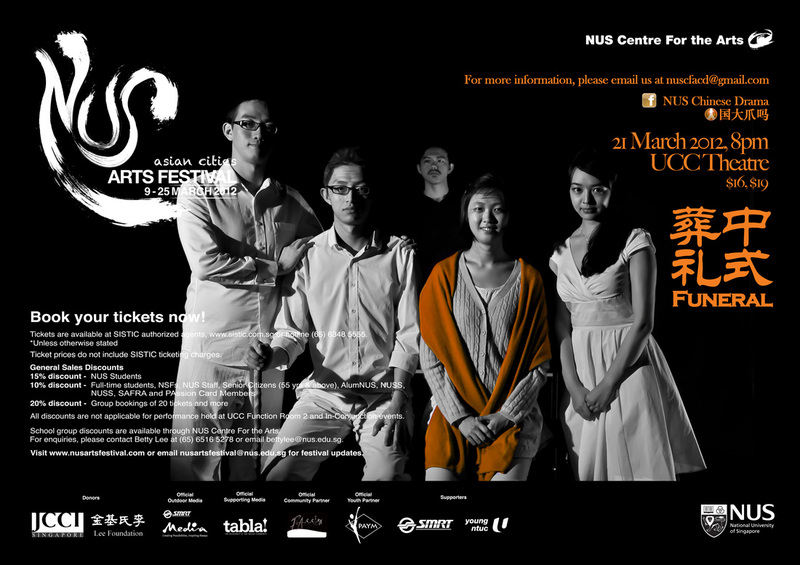 Their interpretations could affect the outcome of the play. 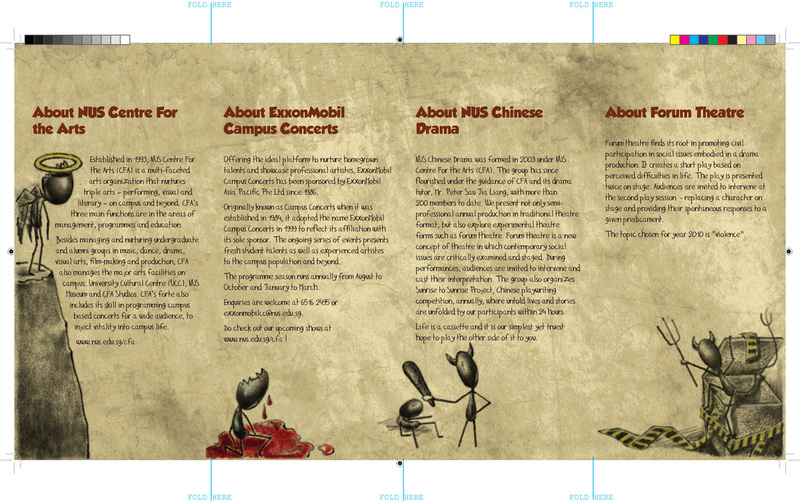 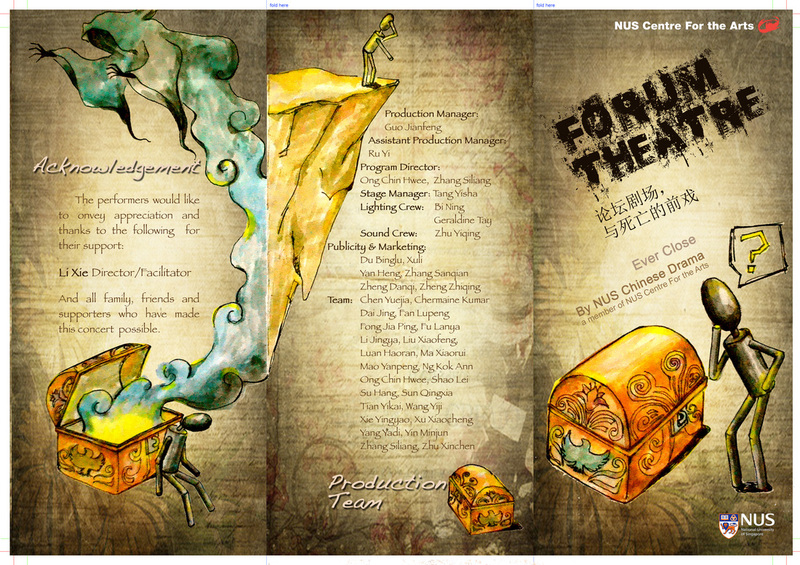 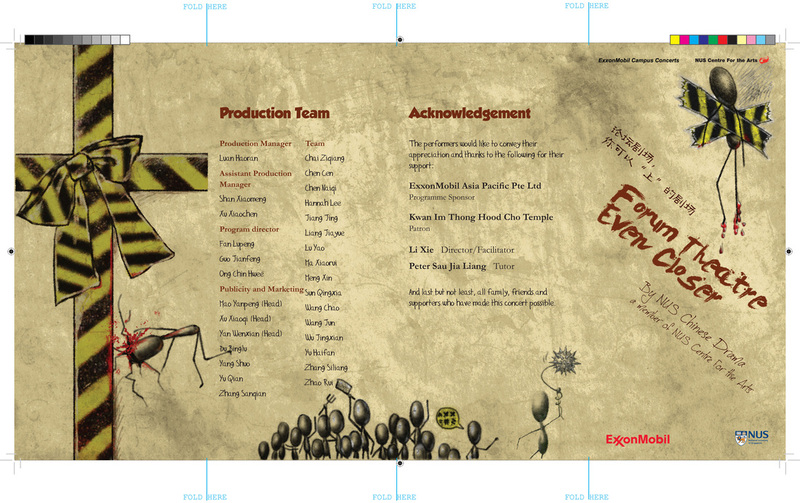 I was involved into the designs of brochures in the forum theater in 2010 and 2011. 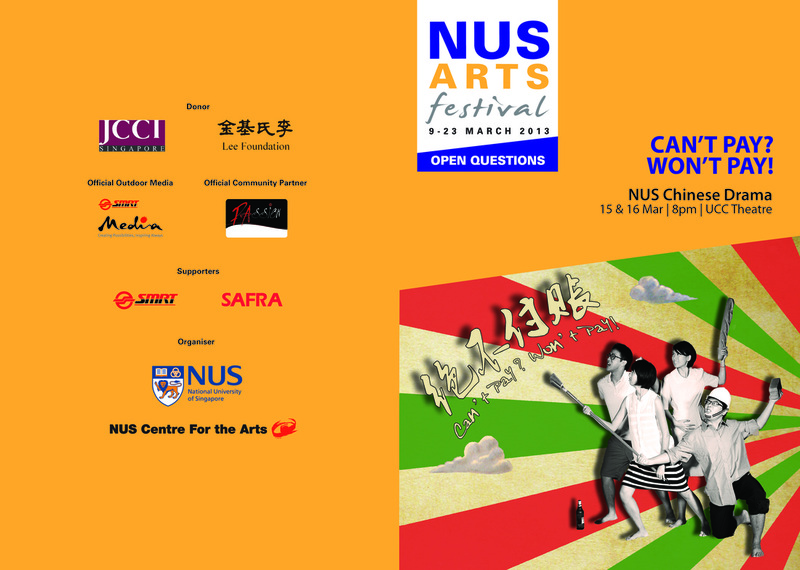 NAF is a big annual event in NUS, to celebrate art in different themes each year. 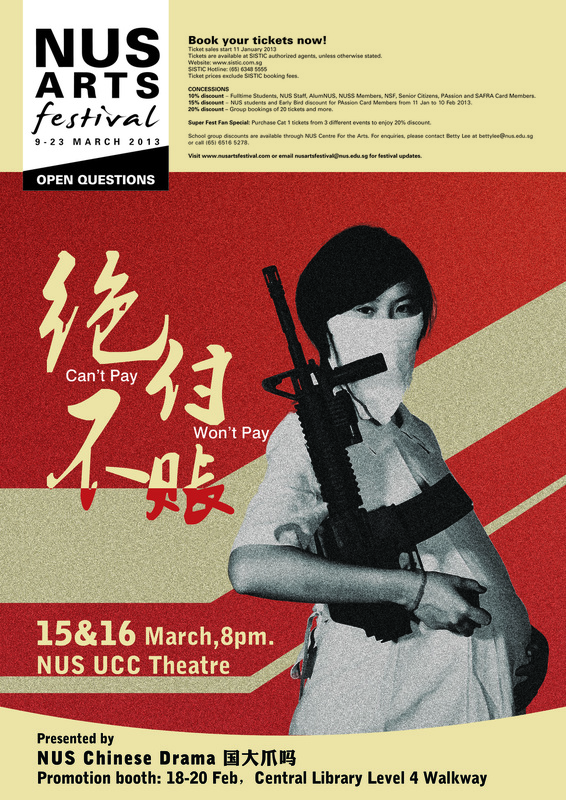 Every year, student groups in NUS will try very hard to get into this 2-week program through rounds of pitch and interview. 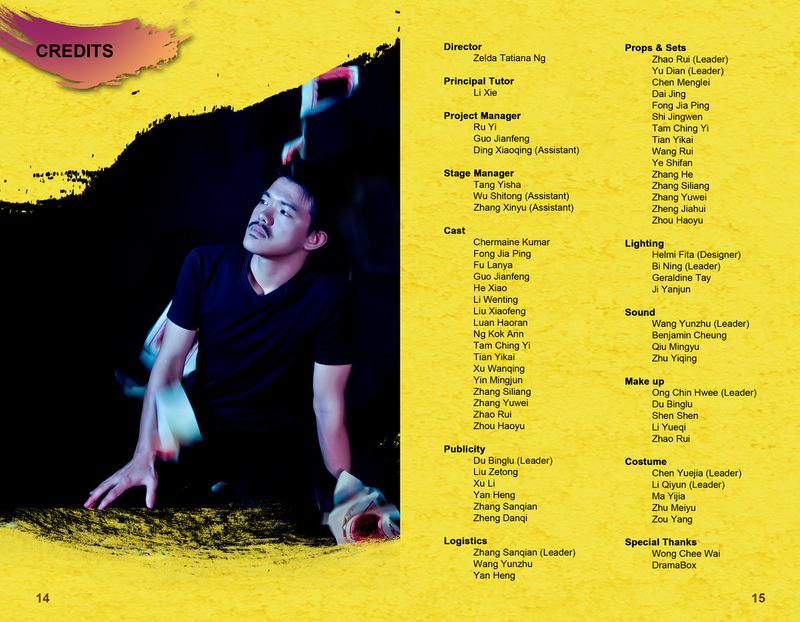 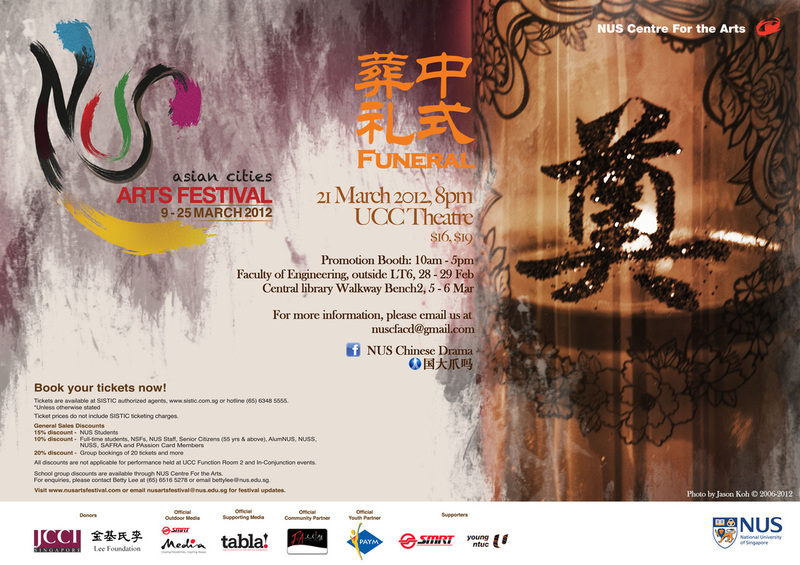 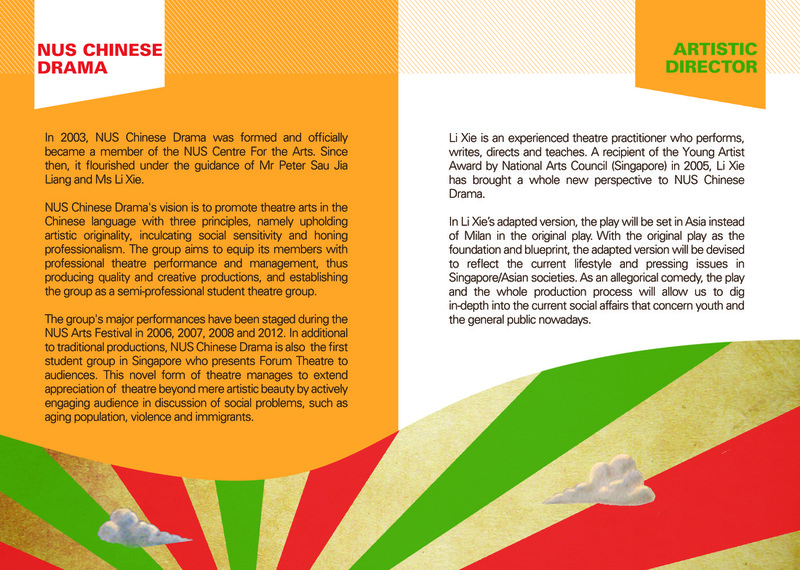 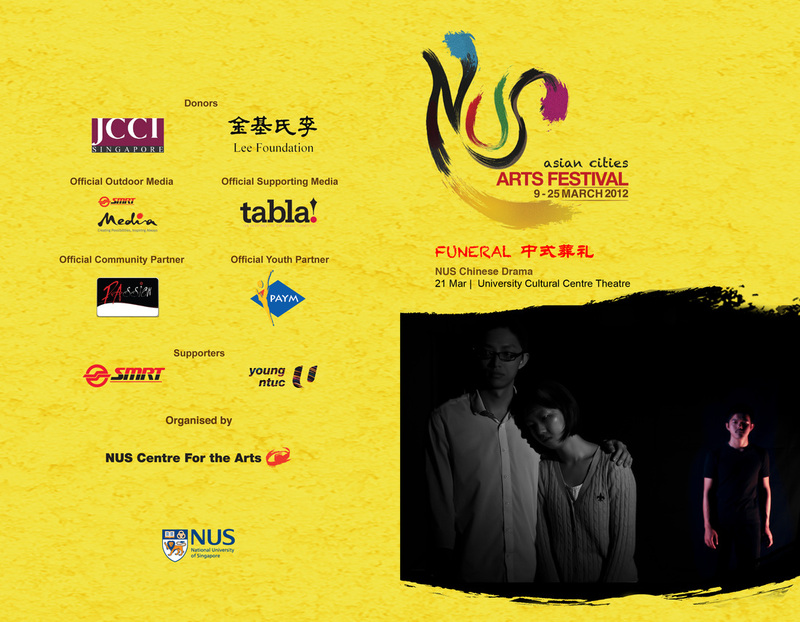 NUS Chinese Drama was invited to participate in the NAF in 2012 and 2013, where I was in charge of all publicity activities.